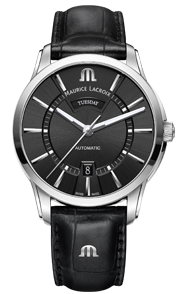 Maurice Lacroix respects your privacy and is committed to comply with applicable data protection laws and to safeguard your personal data. This Privacy Statement describes the way in which we, Maurice Lacroix collects, use and share personal data about you, how we safeguard your personal data and interact with third parties that may have access to your personal data and finally how you can contact us in case of questions or requests. By using this website, you consent to the collection and use of your personal data as described in this Privacy Statement. 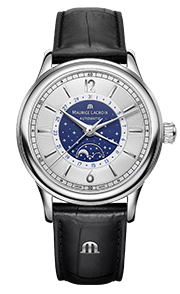 You also acknowledge that Maurice Lacroix may periodically change, update or remove this Privacy Statement at its discretion. In this case, we will post updated versions of this Privacy Statement on this page. A revised Privacy Statement will apply only to data collected subsequent to its effective date. We encourage you to periodically review this page for the latest information on our privacy practices. Your continued use of our services following the positing of changes to the Privacy Statement will mean you accept those changes. 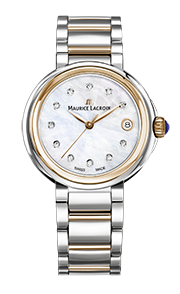 This Privacy Statement applies to personal data collected by Maurice Lacroix online, such as through this website, e-mail, and other online tools and applications, but not to offline collection. As part of your interactions with us, we may collect personal data about you as far as this is necessary to conduct our legitimate business interests, to comply with a legal obligation or as agreed by you. Most of our services do not require any form of registration, allowing you to visit our website without providing us with any information about you. However, some services may require you to register and therefore to provide us with your personal data. The types of personal data we collect depend on the interactions you have with us and the services you use, but generally may include your name and contact details and information about your usage of the website. We may also collect your personal data by tracking how you interact with our website, for example by using cookies. We may collect the Internet Protocol (IP) address, a number assigned to your computer whenever you access our website to conduct system administration and report aggregated information to affiliates, business partners and/or vendors who conduct website analysis and website performance reviews on our behalf. We may further collect your utilization data, e.g. information on the beginning, end and extent of each access, and information on the telecommunications services you accessed,. In some instances, we may ask for your consent for collecting and using your personal data for the purposes as outlined in this Privacy Statement, in particular for sending you marketing materials, such as explanatory brochures and information or newsletters or when you participate in any online survey. We may further anonymize, and aggregate data collected through this website for statistical purposes to help us improve our products and services. Subject to your specific permission that we may collect separately, and your full control to opt out at any time, we may also use your personal data to send you promotional material or newsletters that we think may be of interest to you. 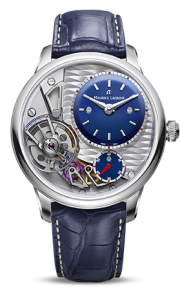 Maurice Lacroix websites contain links to other websites. 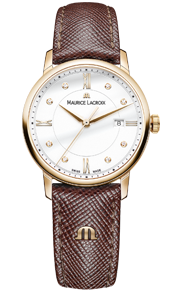 Please note, that any of these sites have their own privacy policies and that we do not accept any responsibility or liability for the privacy practices or the content of other websites but only for the websites controlled by Maurice Lacroix. In such cases, we will ensure that appropriate safeguards are in place to protect your Personal Data by implementing appropriate legal mechanisms, such as EU Standard Contractual Clauses. For more information about the safeguards we take, please contact us at info@mauricelacroix.com. 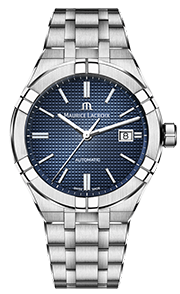 Maurice Lacroix has implemented technical and organizational measures to protect your personal data against accidental or unlawful destruction, loss or alteration and against unauthorized disclosure or access to personal data we store. This includes training of our personnel who may have access to your personal data. You have the right to request what personal data we hold about you and to request the correction or deletion of your personal data that is held by us or by a third party with whom we conduct business. In addition, you have the right to object to or to request the restriction of the processing of your personal data and you may lodge a complaint to your data protection authority. If you have any questions, comments, or concerns about this Privacy Statement, or want to request access to your Personal Data or exercise your privacy rights, please contact us by clicking “Contact” below.